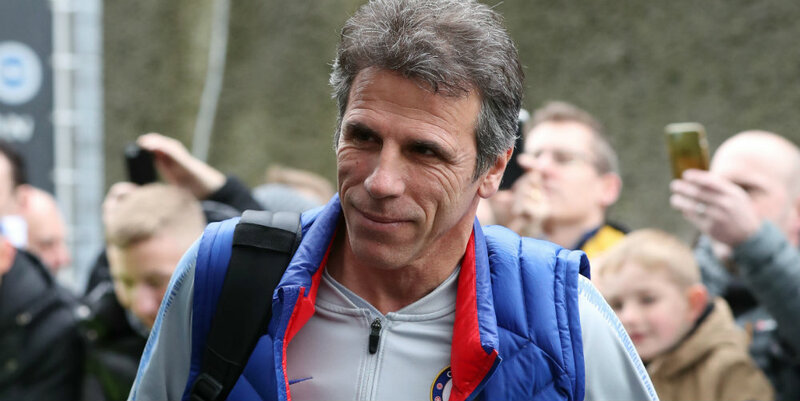 Gianfranco Zola says he does not know whether Chelsea will sign the midfielder Maurizio Sarri wants. Head coach Sarri has made it clear to director Marina Granovskaia, who negotiates the club’s transfers, that he believes a replacement must be brought in for Cesc Fabregas, who recently left for Monaco. Assistant boss Zola agrees, but it remains to be seen whether a signing will be made ahead of Thursday’s transfer deadline. “I’m not in a position where I can say more about that. It’s something that we are talking with the club about,” Zola said. “It’s certainly an area where we could do (with a signing). It could be a problem if we have an injury. Chelsea have been linked with Zenit St Petersburg’s Leandro Parades but he looks set to join Paris St-Germain. Meanwhile, Ruben Loftus-Cheek is back in training and could make a surprise return in Sunday’s FA Cup tie against Sheffield Wednesday.